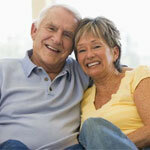 People experiencing hearing loss often wait years before getting hearing aids. But what impact does this delay have on cognition? A new study to learn whether hearing aids can reduce the risk of dementia associated with hearing loss will be conducted by Dr. Amyn M. Amlani (https://faculty.unt.edu/editprofile.php?pid=1144&onlyview=1), University of North Texas associate professor in the Department of Speech and Hearing Sciences (http://speechandhearing.unt.edu/). The project received a grant award of $121,700 from Unitron (http://www.unitronhearing.com/content/unitron/splash.html), a consumer healthcare company specializing in hearing aids and research related to hearing loss. Amlani will assess whether amplified sound from hearing aids can provide sufficient stimulation to restore loss in cognition, potentially decreasing the rate of cognitive decline and reducing the risk of cognitive decline in listeners with hearing loss. He will investigate why people wait, to what degree this delay impacts cognition, and what amount of time with amplification results in a reduction in cognition decline -- from moderate to severe dementia. Patients diagnosed with hearing disorders wait an average of five to seven years before adopting amplification devices, according to statistics. Patients attribute the delay in getting amplification devices to various reasons, including perceived stigmatization, a lack of direct access to hearing healthcare, and a perceived lack of value towards the benefits of amplification. The project, Hearing Aids and Dementia, builds on the research of author Frank R. Lin (http://www.hopkinsmedicine.org/otolaryngology/our_team/faculty/lin_frank.html) of Johns Hopkins Medicine and Lin's colleagues, whose studies find that lack of auditory stimulation is a primary, contributing factor for cognitive decline. "The good news is that there are potential opportunities to slow down this degenerative disease in the form of hearing aids and personal sound amplification devices," Amlani said. "We believe the use of these devices affords listeners the opportunity to improve their quality of life and general well-being." Hearing Aids and Dementia will evaluate three groups of 12 qualifying participants, ages 50 to 90. Participants in one control group will exhibit hearing loss but no dementia, and participants exhibiting moderate degrees of dementia and hearing loss will be recruited for the other two experimental groups. Over six months, the study participants will complete standardized tests to measure their memory function; speech and recognition performance; verbal, visual and concentration skills; and other conditions. All participants will be fitted with traditional, behind-the-ear hearing aids, which they may keep after the study. One group of listeners with hearing loss and dementia will wait to receive hearing aids three months after the project begins. The delay will allow researchers to view changes in cognitive performance for those without and with amplification. In addition, the participants' significant others and family members will complete surveys about their observations of the participants' performance with hearing aids.